Our Little Acre: Get Organized With This Giveaway! I like being organized. It doesn't mean that I always am, as people who know me well are full aware. But it's something I always aspire to be. I like straightening out the insides of drawers and cupboards and I spent some time doing that this past week. I like my clothes to be organized in the closet according to type too, but that could use some work at the moment. 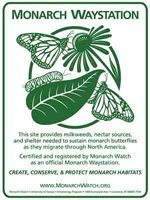 As I mature as a gardener, and the list of things I grow becomes longer, keeping good records on what has worked well in my garden can be valuable. I trial a lot plants here at Our Little Acre, so a good method of tracking them would be helpful. GardenScribe to the rescue! 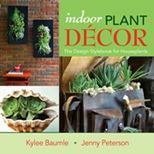 I've looked around at gardening journals and organizers and this one intrigued me. Recently, the company that makes GardenScribe sent one to me so that I could check it out. It was created by Theresa Morrogh, born out of her need for an easy way to keep track of what was going on in her own garden. The GardenScribe is well-made, with the section dividers being sufficiently heavy and reinforced with plastic. Pages are also substantial, being made of card stock paper. 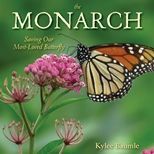 The loose-leaf notebook is organized into sections for Perennials, Annuals, Biennials, Shrubs, Trees, and Vines. 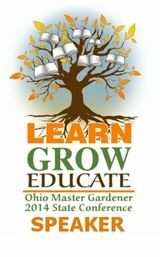 fertilization schedules, growth habits, and much more. It has room for expansion and yes, extra sheets can be purchased from the company, so you can add them if you need more and you can replace old ones if you want to just keep current records only. A nice feature is that of "Quick Lists." Here, you can group your plants according to their maintenance needs. For example, tasks such as pruning and fertilizing can have plants listed together that need these things at the same time. 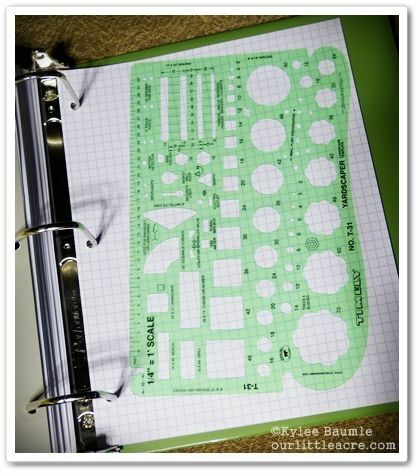 If I could add anything to the notebook, it might be a calendar. I think it would be beneficial to see a month per page with boxes on each date where you can jot things down and see them at a glance. Even though you can keep track of nearly everything on all the other provided pages, this would be helpful for seeing some things in general as well as for planning. You could even jot down weather info. 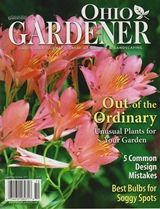 The original GardenScribe has been featured in Martha Stewart Living and Garden Gate magazine, as well as Fine Gardening. 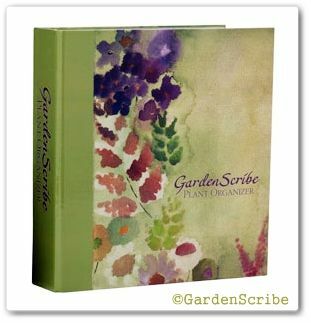 Last fall, at the request of some users, Theresa issued a smaller version of GardenScribe, with a beautiful watercolor illustrated cover by artist Schery Markee Sullivan. 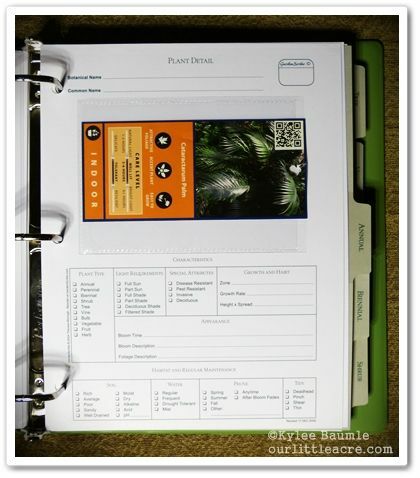 Both versions can be purchased on their website, along with supplemental pages and bare bones binders. At midnight EDT on Friday, February 8, 2013, I'll pick a winner via Random.org from all eligible comments. Winner must be a U.S. resident. Please be sure to include in your comment some way to contact you should you win. Blogger does not automatically include this information with your comment. GOOD LUCK! Random.org picked Comment #29. Laura, I have sent an email to you. 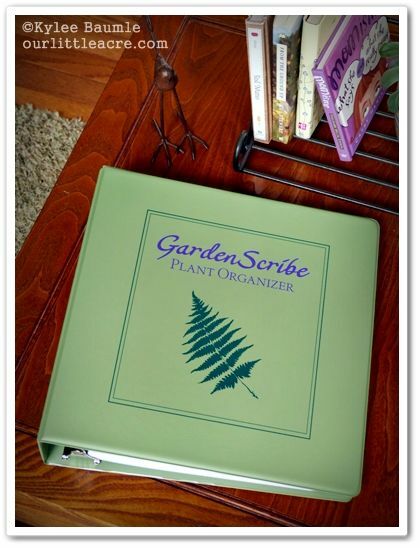 Please reply with your mailing address so you can receive your new GardenScribe Plant Organizer! A GardenScribe Plant Organizer was provided to me free of charge for the purpose of evaluating it for review. All opinions are my own. I know this is crazy, because who CAN'T grow zucchini? But mine dies an early death every year no matter what I do. At least my tomatoes are always prolific. hmm. gonna go with bouganvillea. Just can't grow it here in zone 5-ish Utah. don't want to haul a pot of it in and out, I'd love to see it draping over a wall- BIG! I'd like to have a nice blueberry patch and can't seem to do very well. I add the required stuff to them but they just don't do well. Love blueberries too. Thanks for the giveaway. Gladiolas are very hard for me I get two or three open blossom and that is all. Hope your book. can help me. I live in Idaho now but wish I could have a sassafras tree from my Ohio years in my yard. I've tried to transplant suckers with no success and seeds are hard to come by. Everyone will get a laugh out of this.....I cannot keep a mum alive...I have been told they are one of the hardiest plants around but I have killed every one. Makes me sad when I receive one as a gift because I know where it will end up. Maybe silk mums are in my future!!! Hibiscus. I love them, but I just cant seem to grow them. someday, I keep trying every year. I would love to grow a Paper Bark Maple tree but tried and the deer decided to rub it and it died, even being protected with a wire cage. The tree was expensive, so I have replaced it with a Heptacodium Miconioides. The deer seem to leave it alone, but it is also caged. I would love to have a garden organizer like this to keep track of my plants and garden. I LOVE peonies, but I don't seem to have much luck with them. I'm probably planting them in the wrong place, but I've tried different places and so far don't have any that are thriving. Maybe this spring they'll surprise me and I'll have several happy healthy peonies! Oh there are so many things I can't grow. Most of my failings are in the vegetable department. Lettuce, brussel sprouts, spinach. 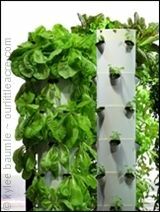 Why oh why can't I grow spinach? Doesn't it know how much I love it? Believe it or not I cannot grow roses. I plant them and by the end of the season there is nothing left. I would love to figure out what I am doing wrong. I can't seem to grow bell peppers. I think it's because they need so much more water than I give them and it's so hot here in Georgia. I volunteer at a garden and they grew really big ones. But that garden also has drip irrigation. So if I can put in drip irrigation in my garden, maybe that will help. I could really use that garden organizer because I can't remember everything like I used to and need to write it all down. I lived my entire life in IL, and could never had any luck growing fruit. I get my grapevines to take, and though I always got muskmellon plants to grow, I never succeeded in them resulting in any edible produce. I just moved to Kentucky this past fall, so I have no idea what growing challenges I will have this upcoming year, since the conditions will all be be new to me. I lived my entire life in IL and had problems growing fruit. My musk mellon would grow scraggly looking vines & bear nothing edible, a whole plot of strawberries would bear only a handful of berries & I simply couldn't get my grapevines never grew larger than 12" tall.... very disappointing! At forty years old, I just moved to Kentucky this past fall, so I have yet to discover what growing challenges lie ahead for the garden this upcoming year. I live in the Ca desert. One of my favorite flowers is the Hydrangea. I would love to have some growing, and have tried, but they can't handle the heat, even in the shade. A bay leaf plant. Unfortunately we're in the wrong zone. But they are beautiful and practical. Gladioli, the moles get to the bulbs before they have a chance to bloom. A cucumber magnolia. Zone 3 is just to cold for them to live long enough so they can flower and fruit. I have been attempting to grow Russell's Lupine for as long as I can remember. I have planted it from seed, and plants. I have hardly any luck. Last year for the first time i got only one bloom. It was a gorgeous pink. I thought I had at long last had success. To my dismay, that was it. I shall now soak my seeds so that I can try again this spring. Just found your blog, glad I did. I would love to win one of these garden organizers, this one looks great. The plant I can't grow is rosemary. I'm in zone 5 so it's very iffy if it'd survive the winter outside, but if I bring it inside it always dries out and dies. Someday when I have my greenhouse maybe it'll do better. I grow pears, apples, plums and would love to grow peaches and nectarines. But, while I live in zone 7 it is in the Pacific NW - cool and wet, perfect conditions for disease to which peach and nectarines are susceptible. So I have had to give up after trying many times.